The summit is named Raven Rock [OS 6 map]. Located in the townlands of Forth Commons, Bargy Commons and Shelmaliere Commons. The Fothairt were an early people of S.E. Ireland. They also gave their name to the barony of Forth. Forth Mountain is the second highest hill in the South Wexford area and the 1309th highest in Ireland. 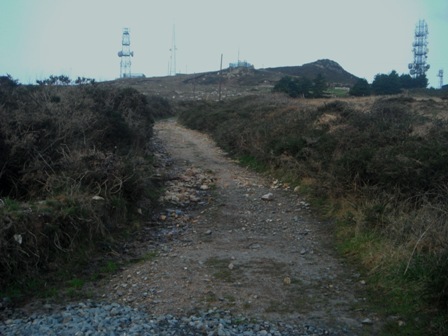 Forth Mountain is the most southerly summit and also the most easterly in the South Wexford area.